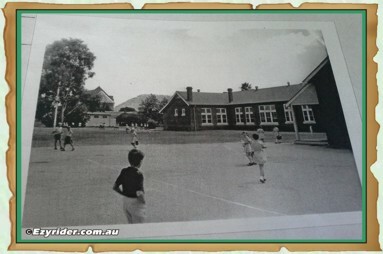 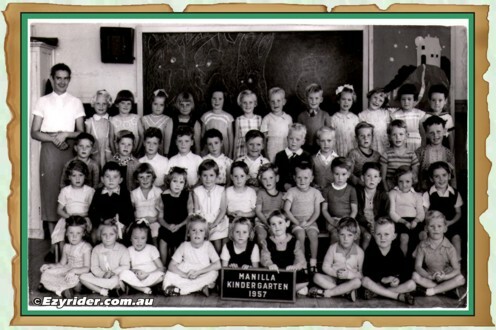 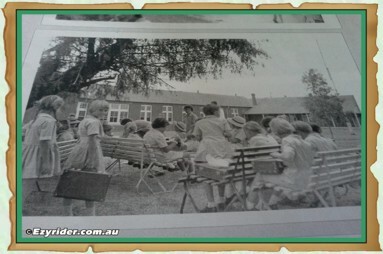 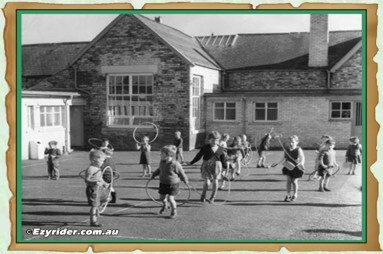 The below are some photos I have of Manilla Primary School 1957 - 1961. 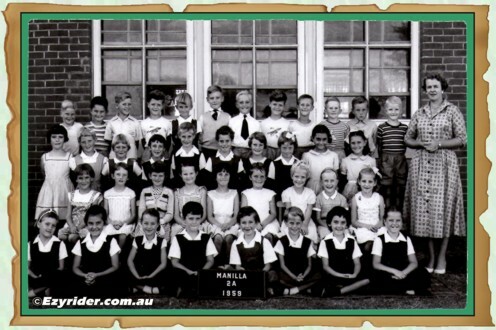 Do you recognize some of the students? 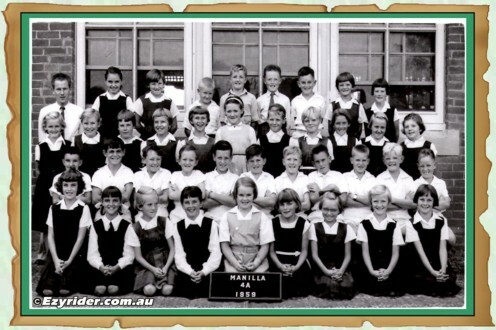 Or maybe you have the same photo with all the names? 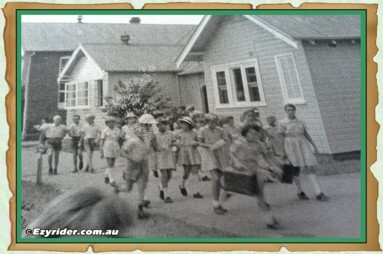 If so, please contact me as I would like to enter the names for each photograph. 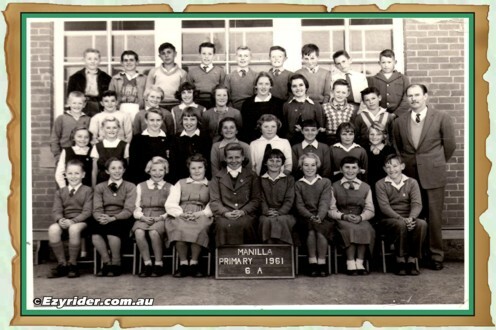 next to the teacher or the 6th across with braces? 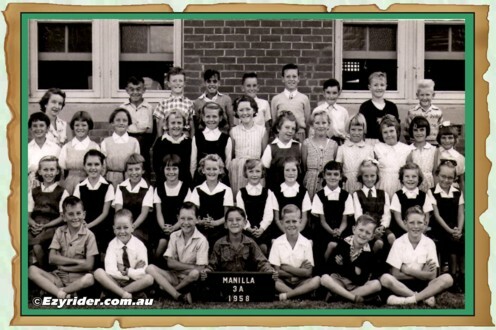 Back Row: David Sipple, Kevin McDowell, Rod Taylor, Ian Bull, Glen Harley, Geoffrey Martin, Bruce Sutter, Marine deSmid, Ron Lister. 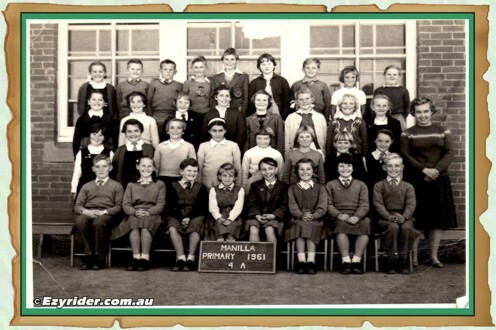 2nd Row: Garry Kelly, Robert deSmid, Christine Stewart, Diane Todd, Elaine Abberfield, Jim Bignall, Lynette Grantham, Martin Fletcher, Noel Sing, Teach Mr Logan. 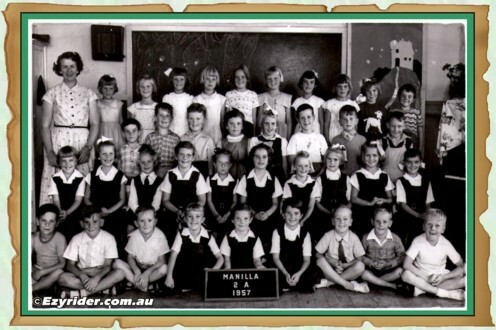 3rd Row: Marlene Mead, Rhonda Hall, Colleen Molloy, Diane Hardcastle, Roslyn Faulks, Gail Rogers, Annette Sneesby, Elain Burton, Ann Maunder. 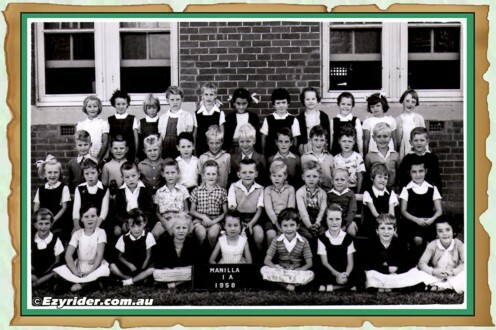 Front Row: Me, Sue Albertson, Wendy Bryan, Patty Cooper, Carol Hanley, Lynette Kingdom, Noeline Bell, Lynette Perry, Colin Donlan.